Fostex TH610 review | What Hi-Fi? As we all know, looks can be deceiving. While the Fostex TH610 headphones might look the part for a high-end pair of luxury cans, these headphones don't have the sound quality to match. From a design perspective the TH610s feel nicely put together and certainly appear classy. The black walnut housings are smooth and well made, each holding a 50mm neodymium driver, and they make a satisfying little click when you move them back into place. Their pads are made of artificial leather and fit snugly over your ears, so the headphones are comfortable to use. Even the 3m cable – a gold-coloured rhodium 6.3cm jack on one end and a pair of detachable 2-pin connectors at the other – is covered with a woven fabric that’s of a much nicer quality than most other headphones at this price. As such, it’s a real shame that the TH610s don’t have the great sound quality to complement their elegant design. Let's start with the positives. These closed-back headphones can go surprisingly loud. These cans are dynamically impressive, and can be relied upon for a big blast of sound. What’s more, they know what to do with it, providing a good punch on the rapid bass that kicks off the Kings of Leon’s Charmer. However, ‘go big or go home’ has never been the be-all and end-all when deciding the worth of a pair of headphones. Preferably, the force would be matched with speed and agility, but the TH610s aren’t quite as rhythmically adept as we would like. Playing Hans Zimmer’s Dream Is Collapsing from the Inception soundtrack, what should be rapid and tense violins err on the sluggish side. Tonally, the TH610s are far too focused on the lower frequencies – the cymbal crashes and the screams of Caleb Followill’s lyrics being hampered as a result. The naturally strained vocals need a lot of care and attention to ensure that they don’t end up giving the listener a headache - but what sounds crisp coming from the similarly priced Audio Technica ATH-W1000Zs sounds unbalanced and brittle from the Fostex TH610s. During treble-heavy songs, such as the guitar strums of David Bowie’s Starman, the high-pitched riffs which sound sophisticated from the likes of the Audio Technicas and Beyerdynamic Amirons, are too harsh and brittle to be an enjoyable listen here. There’s also a distinct lack of clarity across the frequency range - the synths in the climax of Vampire Weekend’s Diane Young aren’t as distinct as they should be, and Michael Stipe’s isolated singing in R.E.M’s Nightswimming are noticeably foggy. Overall, it never truly feels like you’re getting an insightful reproduction of your music from these headphones. That’s disappointing at this price, but especially so when you could spend the same amount on either the Amirons or the ATH-W1000Zs. 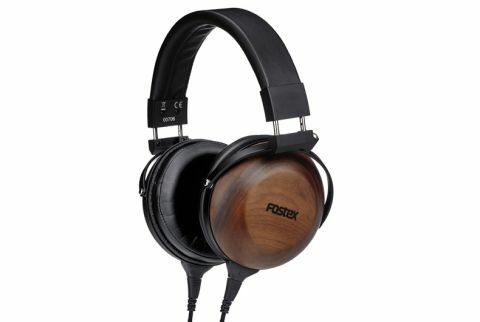 There are a number of headphones available at this price with much better audio qualities and which will ultimately handle your music more proficiently than the Fostex TH610s, even if they perhaps don’t look as good. The TH610s pack a decent punch, but they need more detail and clarity, as well as a better-balanced and more refined tone, before we could truly recommend them.